Commercial electricians come with the knowhow and experience of handling larger commercial buildings. So, if it were a new construction, then all electrical services starting with cabling, wiring, and installing the switches, switchboards, setting up safety gear, installing security features and CCTVs, installing panels, circuit breakers and ensuring that the power, lighting and heating units in a building are all set-up and in proper working conditions is what a commercial electrician endeavours to do. Additionally, rewiring, repairs, replacements and upgrades too form an important angle of a commercial electrician’s work profile. 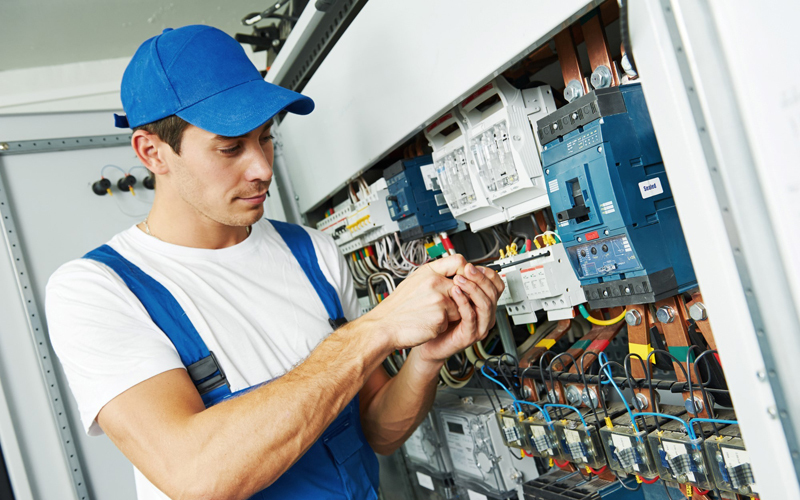 And in accordance, the commercial electrician from Your Electrician comes with the requisite service experience and will help pitch in the way you want us to and for the services you seek from us. If you want us to install the air conditioning and go beyond as in a regular maintenance, and repairs if any, we will take care of it.